Every business has to carry out Project Management activities. The shortest and most convenient approach that most of the project managers follow is, using a PM tool. Using a tool is a right approach, but it is also essential that the project managers follow some best practices to gain success in project management. Open communication with all the stakeholders of the project right from the starting. These are the team members, managers, clients, project sponsors, clients, and users. Form a Risk Response team: The project and its tasks are subject to risks at different levels. Therefore, you should have a risk response team. This team ensures that the project is going well and is not falling in the risk areas. This group operates as a defense system for the project. Develop and use a detailed work definition document. This document states the work areas by people. The primary aim of this paper is to clear all the uncertainty and confusion that might arise at project initiation. Hold a kick-off meeting: Before you get started on the project, it is vital that you hold a kick off the session. This assembly should include everyone that is directly or indirectly involved in the project initiation, process, or outcome. Develop a detailed work Plan: The work plan will help the team to stay organized and focused on the project. This will also help the team to complete the project within timeline and budget constraints. Keep a Record of Everything: Documenting every step of the project will help you take better business decisions. The document will also help you make better and informed decisions. Communicate the impact of Project Add-Ons: Whenever you have to add a new feature to the project, it is best to communicate. The newly added feature may lay some impact on the overall plan. These results need proper communication with the team members. Ask for Feedbacks: The project may face friction during all stages. 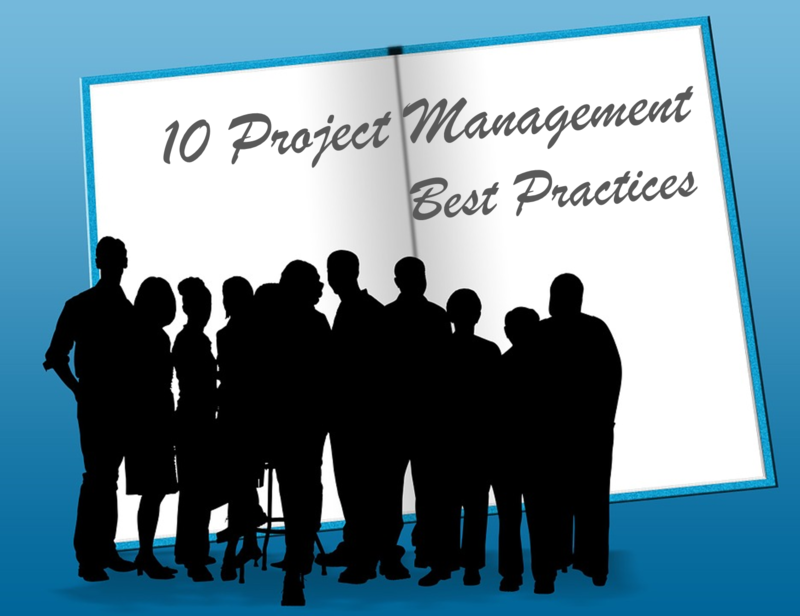 It is therefore essential for the project managers to take feedbacks. These feedbacks, in turn, needs proper addressing as they contribute to improving the performance of the overall project. Update the team about the new scope: As the project undergoes new changes, all the stakeholders must be made aware of them. Also, the project manager also should ensure to document these changes. Hold a wrap-up Meeting: Once the project is over, it is a good practice to hold a wrap up meeting. This meeting will summarize all the loopholes that occurred in the project processing phase. The session can also discuss areas where the team can improve in the upcoming future projects. These practices will help a team to organize better, manage and carry out project management activities for an organization.